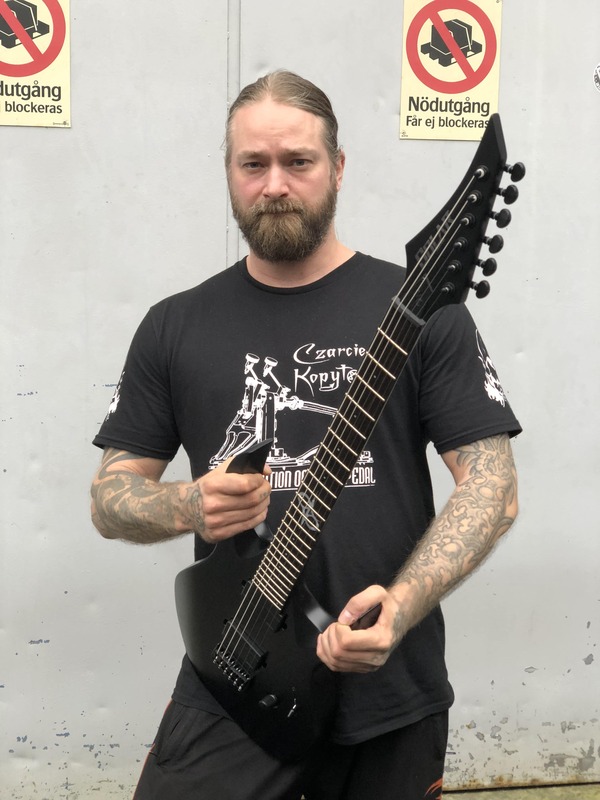 Hypocrisy’s live guitarist, Tomas Elofsson, got his first guitar at age 6 and started his first band at 7. He joined Hypocrisy in 2010 and has been touring extensively all over the world. When off the road, he plays in his band « Berzerker Legion ». On the « Death Is Just a Begining » Tour, he got a Solar Guitar, took it out of the box, and Hit the stage!! !